I had one day in Lima on the front-end of my Peru trip and decided to use it to walk around the bohemian artists’ district searching for graffiti (not a lot of it, so I assume there are strict fines for grafiteros in Lima) and always looking for a cool vegetarian place to eat. 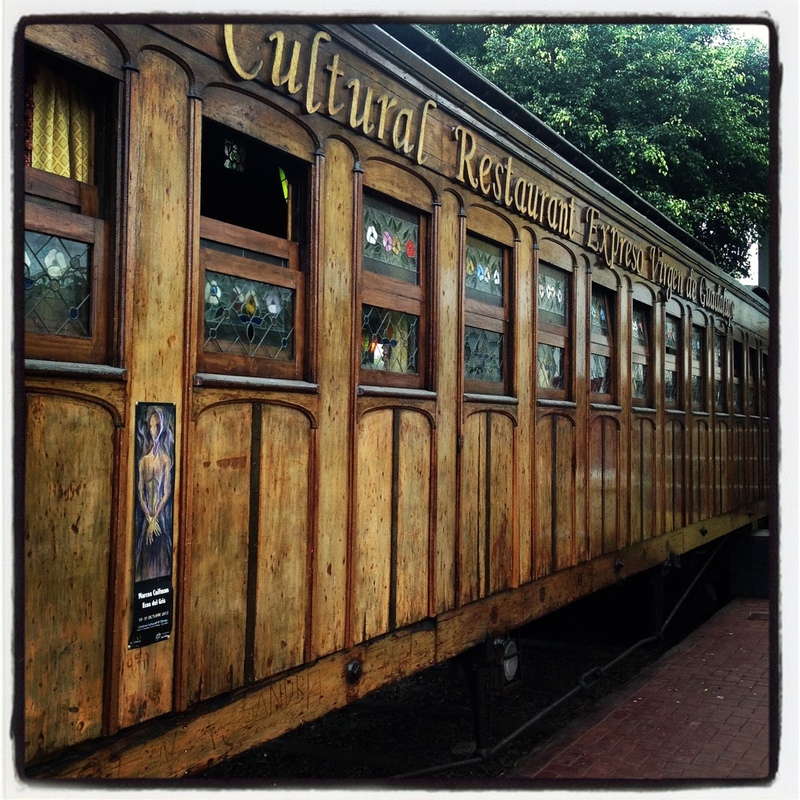 I happened to be across the street facing this gorgeous wooden train car and a big sign on the front that said “Vegetarian Buffet.” It was destiny. For 18 PEN (about $7) you can gorge on an all-u-can-eat buffet for about three hours, if you like. Highly recommend: Cafe Restaurant Expreso Virgen de Guadalupe. Located: Ave. Prolongation St. Martin 15-A.